PREBIRTH RESOLVING WORKSHOP - REWRITE YOUR LIFE SCRIPT - If you are interested please contact me. ReSOULve & Evolve - It is time to Transform Your Life? I came into life to transcend fear, anger, disappointment and disease. Today I will discover the misconceptions that veil my Divine dna blueprint and are blocking my happiness and success. When I come into life, my mental and emotional dna is inherited from my parents, creates my duality and veils my divine all knowing blueprint, as I activate ancestral and karmic memories and patterns. Within my innate wisdom are answers that often do not translate into language, but I feel uncomfortable when something does not resonate with my truth. The only difference between success and failure is knowledge. Discover your truth today with the Pre-Birth Awareness Resolving Process edit your life script and achieve the life you want. I write my answers and do not have to share unless I want to. Bookings at www.sheilacrouch.com (please use contact page to leave your details so I can inform you of the next date or arrange a workshop or personal session for you (minimum group 6 people). Investment £100 to transform your life and attract what you truly desire. Created by Jon. R. Turner and Troya Turner-Groot of The Whole Self Discovery & Development Institute Inc. Pioneers in Prenatal Psychology for more information please use the following link (https://wholeselfprebirthpsychology.wordpress.com/about-the-turners/). Used by 1000's of people worldwide, based on scientific and spiritual research and recognised by the International Society for Pre- and Peri- Natal Psychology & Medicine as a cornerstone for raising the consciousness and evolution of mankind to create a caring, happy and healthy society for the future; this groundbreaking work, using the Pre-Birth Awareness Matrix, to discover and develop human potential is at the cutting edge of spiritual development and conscious living for the the future. Sheila Crouch FAoR MFHT ITEC ATL Cert.Ed. is the UK Co-Director of Whole Self Discovery & Development Institute Inc. with 30 years professional experience in the holistic health and self-development field. She is a leading edge practitioner and national key speaker and workshop leader for the FHT and international trainer on natural health and metaphysical healing and self empowerment. 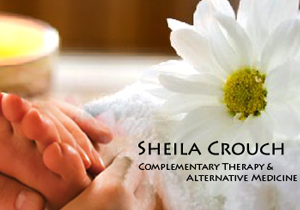 Sheila is passionate in empowering people to take control of their health and lives, especially at this pivotal time in human consciousness and evolution, when many are seeking answers to a challenging time in their lives.